Over the years, most families end up renovating their homes in some capacity. This might be to make the space more modern or liveable, or to be able to sell or rent out the house for a higher price. However, you no doubt realise that remodels can end up being very costly, and potentially even be a bit of waste of money if you overcapitalise or end up with a result that you’re still not happy with. There are ways to ensure you make a good investment and achieve an affordable renovation at the end of the day, though. Read on for some tips you can follow today to complete your remodels wisely. Before you start renovations, it’s important to create a defined budget that you can stick to as the weeks or month progress. Since it’s so easy for costs to skyrocket during this kind of project, you want to give yourself a spending limit so you don’t end up putting more into the work than you actually have available to invest. It helps to decide on a total amount you feel comfortable using for the remodels, and then work back from there to divine what you’ll be able to afford for that amount. Since you’ll no doubt want to do more jobs around the house than your budget allows, you will have to examine things carefully to decide what needs to be done now, versus what can be left until a later date. To get a detailed budget in place, cost out every item on your list. Include not just material and labor fees, but also things such as insurances, legal or accounting costs, council permits if necessary, and the like. It’s also important to put a plan in place that you can use to help you stay organised and on track as the renovations progress. Make your plan before you hire any contractors or knock down walls or buy materials. Having a plan to refer to will help you know the order in which jobs must be completed, as well as areas where you need to be particularly thrifty with your spending. Having a plan saves you time and stress, and ensures you don’t have issues with tradespeople arriving and doing work in the wrong order. 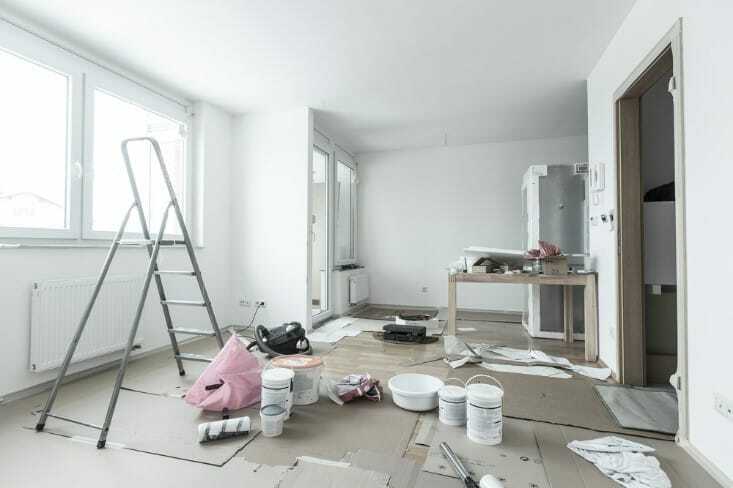 Another job to add to your to-do list before you actually start renovations is to find out what will specifically add value to your house in the long run. While you might be interested in putting in a pool, re-doing the basement, adding high-end fittings and fixtures and the like, the fact is you might not get your money back if you do these things then put the home on the market. To avoid overcapitalising, or just spending your money on the wrong renovations, do research into what has been selling in your area, and who the target buyer(s) is. The fact is, in different suburbs, even ones that are next to each other, there can be variations in what features are most popular, and fetch the most money at sale time. This is because the different potential purchasers in each area will be after different things. To help you determine where the most value-adding places will be to renovate your home, start attending open houses and auctions in your suburb. See what prices properties are listed at, and eventually sell for. Notice who the buyers are who are looking through the properties (e.g. seniors, young families, couples, young friends etc. ); plus ask local real estate agents for their thoughts on what the majority of buyers search for when scoping out new homes or investments. Having this information will save you money because you won’t spend your cash on things which simply aren’t necessary. Lastly, if you want to end up with an affordable renovation, look for ways to reduce your spending on materials and labor. For instance, think about when the best time of year to buy appliances and other materials may be. Often, the end of financial year, or close to Christmas, are times when there are more specials available on products. Save money on contractors by researching labourers carefully and asking your friends and family members for recommendations of value-for-money workers. Get prices and other details in writing, in a signed agreement, before any work starts; and make sure the tradesperson you choose has the necessary insurances, too, in addition to relevant experience and qualifications. Also, complete jobs yourself when you can, safely, as this will save you money and free up funds for other materials or work.